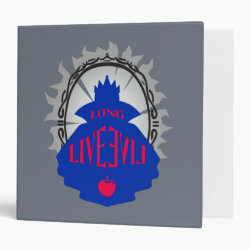 This is a logo design inspired by the classic Disney character the Evil Queen from Snow White and the Seven Dwarfs. 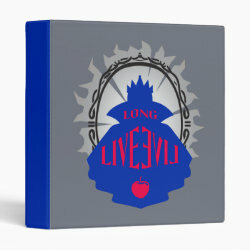 The character lives in More... Disney's hot property Descendants, as Evie's mother. 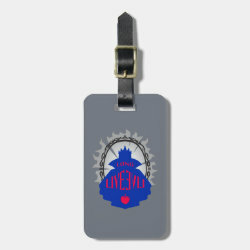 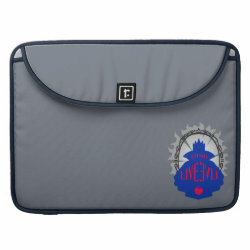 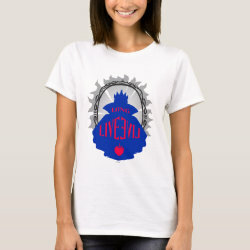 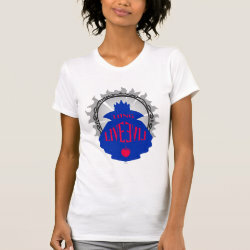 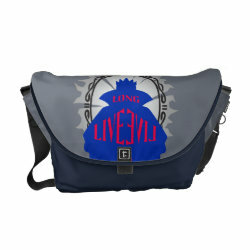 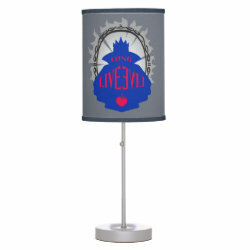 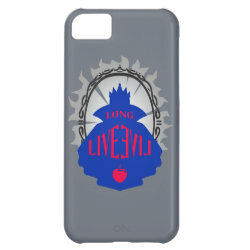 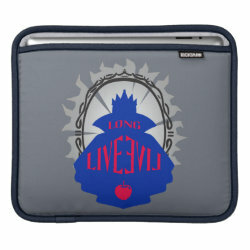 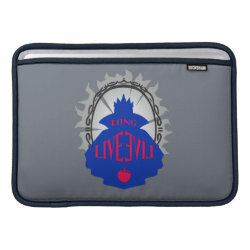 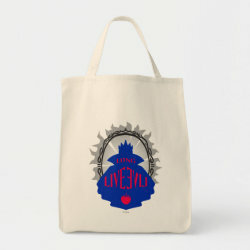 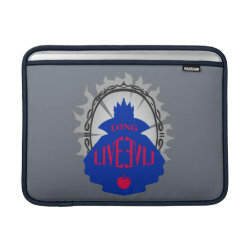 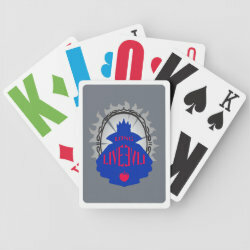 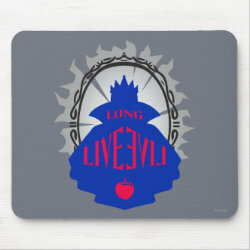 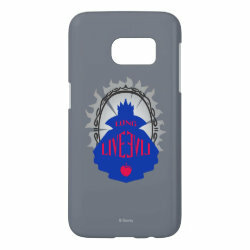 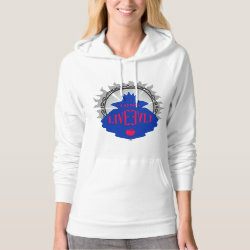 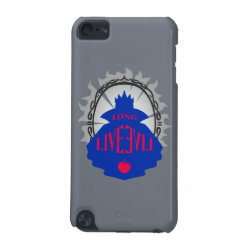 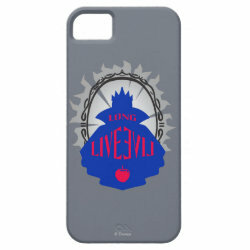 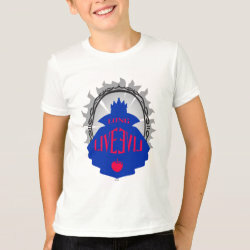 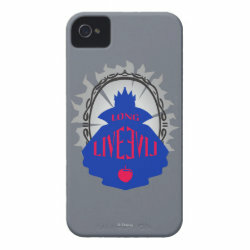 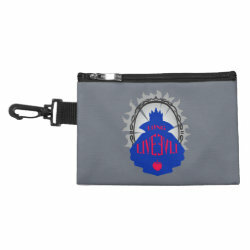 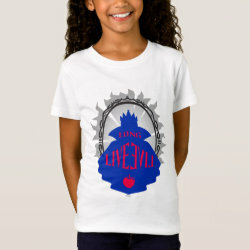 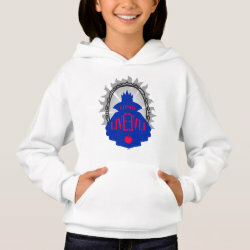 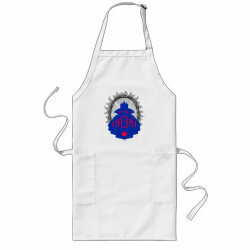 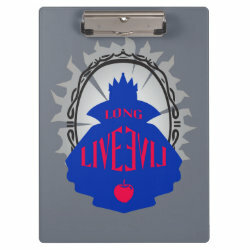 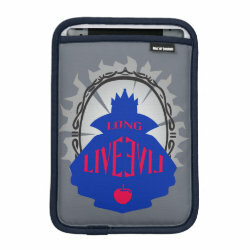 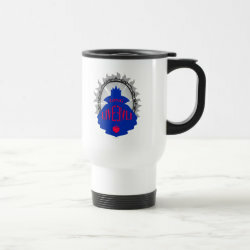 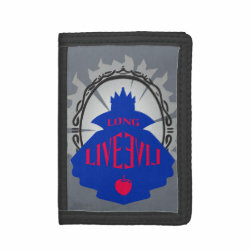 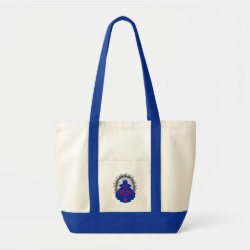 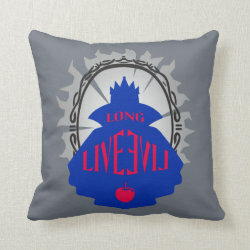 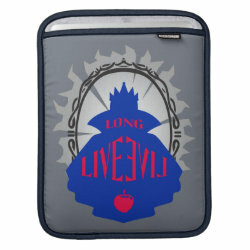 This is a graphic logo of the Evil Queen in blue silhouette with a red apple and red text reading "Long Live Evil". 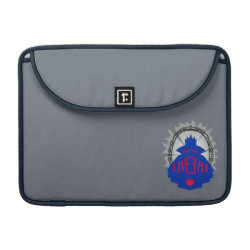 A gray starburst with black lines forms the background.